Bide the wiccan law ye must, in perfect love, in perfect trust. 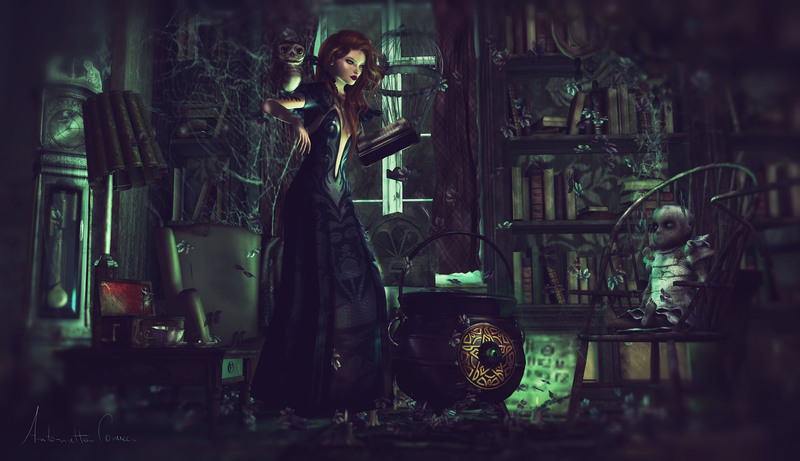 I love it when I see many witches on flickr, many beautiful costumes and ppl showing the creativity on magic pictures. It’s funny to see what the creators can do, and its a bit ironic that my avatar can have those items to be not just a normal witch like me but like the ones on fairy tales, thank you so much for the designers, and congrats. Oh also, waves to all other witches, In me anytime, lets plan a coven tea party, xoxo.